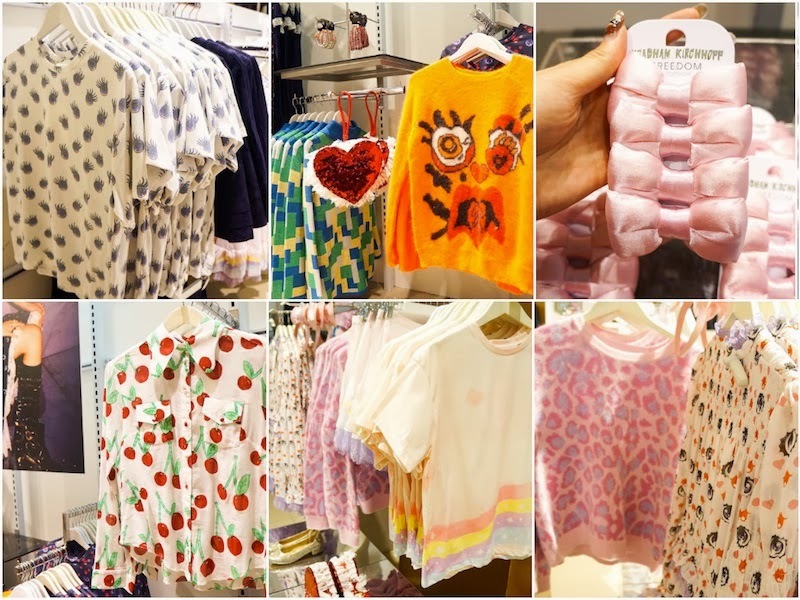 Events-packed Nov - Meadham Kirchhoff X Topshop preview launch &Urbanscapes Big Weekend. Haven't been sleeping 8 hours a day ever since I got back from Club Med Cherating, I was occupied with events, outings and travel. Sometimes it's very hard for me do consistent update because I couldn't write an article with non-edit pictures, so do bear with my insistency in providing quality pictures. Now I finally have some time to arrange the pictures and done editing them. Here's a quick catch-up of am I busy during the end of November. Me and my girlfriends attended Meadham Kirchhoff x Topshop preview launch. It is the 4th time these duo designers Edward Meadham and Benjamin Kirchhoff collaborated with Topshop launching their largest designer collaboration of 80 pieces design. The story for this collection is that of a girl band, The Cherries - Cherry Cherie, Cherry Satanika, Cherry Pikka and Cherry Blossom. A collective of rebels, each Cherry embodies their own signature style. My favourite look is Cherry Satanika in eye popping orange jumper. What's yours? Are you guys having fun during Urbanscapes the Big Weekend? Good music, good food and good shopping. I'm pretty sure you guys are not quite done with Urbanscapes yet! If you missed out on Urbanscapes 2013. don't fret! Come and join the 2nd Urbanscapes Satellite Show featuring Metric that is happening on 3 Dec (Tuesday) @ KL Live and close out this year Urbanscapes festivities together. #makeurbanscapesepic! It feels good to be kept busy, praying for another good month ahead before closing year 2013.